A a legendary construction company. The most unique construction & engineering firm in the world. underground, and marine projects, Over the last 69 years. 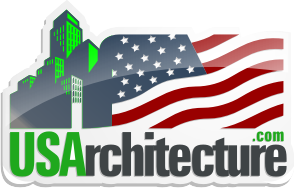 Evansville, Indiana | The TRAYLOR Family of Companies | Building America SAFELY! Washougal, Washington | The TRAYLOR Family of Companies | Building America SAFELY! "creating infrastructure that makes people’s lives better"
An international reputation as a leader in the complex area where land meets water. Marine, Industrial and Commercial Craft and Trades People. Research, innovation, planning, modeling, and engineering. Leading-edge solutions to challenges facing the water environment for over 30 years. Exceptional Service. Outstanding Solutions. Sustainable Results. A consulting and engineering firm specializing in the marine and coastal environments. bulkheads, and tiki huts for residential applications. offshore vessel service company in the world. composite seawalls, aluminum seawalls, docks and pier. Marine construction contractor specializing in submarine utility operations. Bridge Engineering, one of the world’s premier specialty engineering firms. A world leader in construction & maintenance of industrial facilities. A specialized concrete cutting and demolition contractor / products. Construction engineering, project management for a broad range of clients and projects. State of the art equipment and processes in piling, sheeting and shoring construction. and structural protection products for marine applications. Heavy Civil and Marine Construction. erection services to general contractors and fabricators. Scaffolding, aerial platforms, bleachers, forming & shoring. New England - Boston & Springfield, Massachusetts, Providence, Road Island. Air Hammer and Light Piling Specialist. custom aluminum pedestrian bridges that define functionality, low maintenance, and value. Superior piling & shoring solutions. Premier manufacturer of low maintenance aluminum boat docks and gangways. Forest Products, Lock & Dam, Industrial, Decommissioning, and Bridge Construction. A global provider of engineered services and products to the offshore industry. A robust suite of transportation services in support of institutions & business on a mission. Crane & hoist rigging supply, fabrication & service. SeaShelters tm. - and building solutions. the Bureau of Reclamation and others accept, specify and buy our anchoring products for their own use. advanced, and environmentally sound offshore wave power technology. The Golden Gate Bridge, Hoover Dam, BART. One of the oldest and largest privately held operations in the country. A leading provider of site solution products and services for the civil engineering industry. Bridges, drainage, retaining walls, sanitary sewer, stormwater, erosion control and soil stabilization products. MATERIALS HANDLING FOR CONCRETE CONSTRUCTION. Engineering & construction services for heavy marine, and highway construction. The Pumping World's One Stop Shop! and the quality, conservation and control of water used in commercial, residential, industrial and municipal applications..
biology, geography, geology, geospatial information, and water. Piling equipment for sale, Foundation Forum, Advice and Rental. Piers, Bulkheads, Boat Lifts & Hoists, Pile Driving & Marine Construction. rebar couplers and splice systems, inserts, and bridge deck forming products. Roads, bridges, utilities, large site work, and unique structural projects. World leader in treated lumber products. Setting higher standards for stormwater treatment. Naval Architectural, Marine Engineering, Computer Aided Design & Drafting. New & used construction equipment, parts, rental and service. Custom boats, yachts and accessories. We will get you what you need on site and on time.